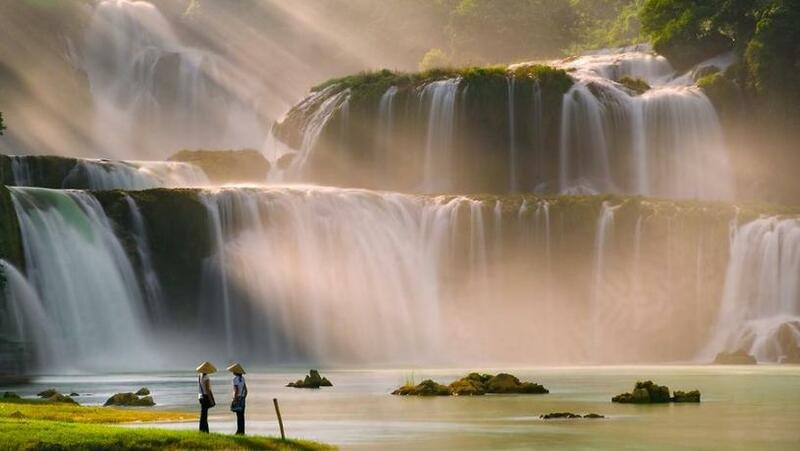 Ban Gioc waterfall tourist area in Cao Bang Province would cover around 1,000 hectares including 130 hectares in the central area as envisioned in a master zoning plan proposed by the Vietnam Institute for Urban and Rural Planning. The institute has put forth the zoning plan of Ban Gioc Waterfall tourist area in the northern mountainous province plus a detailed plan for the site’s central area. As suggested by the institute, the tourist area would be developed into a major area for sightseeing tours, resorts, adventures, and recreational and cultural activities, among others. The institute proposed developing two key sites, with the administration part on the west side and the central area on the east side. In particular, the former would have administrative, political and technical infrastructure facilities as well as works for tourism services. Meanwhile, the central part of the tourist area would house tourism infrastructure and service facilities and the operation center for the entire area. Ban Gioc Waterfall is an attractive tourist spot of Cao Bang Province. However, tourism services and infrastructure are still underdeveloped and the road leading to the waterfall is not in good condition. This is the reason why tourism potential of the area has not been fully tapped. The institute proposed the zoning plan with an aim to help make the most of potential and advantages of the tourist area and boost tourism development.